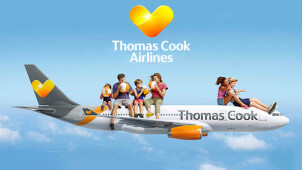 Return Flights to Tunisia from £79.99 at Thomas Cook Airlines-Flash Sale! Thomas Cook Airlines is an award-winning British flight provider, with a fleet of almost 100 aircraft flying to more than 60 destinations around the globe. The comfort and safety of your flight is their top priority, and recently being named Europe’s Leading Charter Airline pays testament to this. Since taking off in just 2003, Thomas Cook Airlines has grown into one of the nation’s most popular flight and holiday provider, every year helping millions of happy holidaymakers reach their destinations. Always looking to expand and add new routes to their roster, Thomas Cook Airlines fly to some of the world’s best holiday destinations, including Crete, New York and Lanzarote. They also give customers the opportunity to explore more intrepid destinations, with daily flights to Goa, Hurghada and Montego Bay. Offering the option to fly out to one airport and back from another, as well as offering various flight times throughout the day, Thomas Cook Airlines offer you the flexibility to tailor your holiday to you, rather than the other way around! So whether it’s sun, sand, sea or the city you seek, Thomas Cook Airlines can get you there (and back again). How do I use my Thomas Cook Airlines discount code? Sign up to the Thomas Cook Airlines mailing list to stay up to date with deals, new routes and special offers available from your favourite airline! How can I check-in online with Thomas Cook Airlines? Online check-in opens 24 hours before departure. Simply head over to the Thomas Cook website with your reservation number and passport details handy. Once you’re checked in, you can either print off your boarding pass or download it onto your smartphone or tablet! What are Thomas Cook Airline's carry-on allowances? Thomas Cook Airlines allows one item of hand baggage per customer, weighing up to 6kgs. On top of this, customers are allowed to bring in laptops, handbags, camera bags and umbrellas. Where do Thomas Cook Airlines fly to? From the UK, Thomas Cook Airlines flies to nearly 70 destinations across Europe, Africa, Asia and America. From the Windy City to the Big Apple, and from the Bahamas to the Balearics, Thomas Cook Airlines puts the world in the palm of your hand. Or talk to the live chat team on their website. Thomas Cook Airlines’s helpline and live chat are open from 8am - 10pm. Flights are issued on a non-refundable basis, however, to make changes to your date or route, get in touch with their support team via one of the above contact options. With flights to over 60 worldwide destinations, Thomas Cook have quickly become the nation’s most respected airline. Whether you’re heading to Croatia, California or the Caribbean, get there in style, and use a Thomas Cook Airlines voucher code to make your affordable holiday that bit more affordable. Flying to 4 continents from more than 20 UK airports, Thomas Cook is the obvious choice for family holidays, weekend minibreaks and even far-flung, intrepid adventures. In 2016 Thomas Cook Airlines received the award for Europe’s Leading Charter Airline at the World Travel Awards, as well as winning the top spot in the Airline Category of the Customer Service of the Year Awards. All routes have comfortable seats, flex option flights and generous baggage allowances, with long-haul flights also providing individual entertainment screens and in-flight meals developed by award-winning celebrity chef James Martin. Plus now, a Thomas Cook Flight discount code will let you see and experience the extra air mile for less. With affordable flights to New Orleans from five UK airports, Thomas Cook Airlnes offers you the opportunity to 'fall in love with Louisiana all over again.' Discover the bayou on a budget with a Thomas Cook Airlines discount code. The home of jazz and jambalaya, Louisiana is one of United States’ most exciting travel destinations, with a rich and diverse culture, history and landscape. You could find yourself croc-spotting in the swamps, or going wild at Mardi Gras!